Another episode of As The E-Book Turns wrapped this week, with Amazon locked in a page-turning battle with the publishing industry. The plot twists are many, but here's a quick outline: Amazon wants to continue charging $10 for e-book versions of most new titles and bestsellers, but the industry's leading publishers think that price is too low. blisher, also plans to drop Amazon's $9.99 price model, and would rather see many e-books in the $15 range. HarperCollins has made a similar move. Meanwhile, the industry just gained an ally in Apple, which has agreed to let publishers set the price of e-books designed for its new iPad tablet. It's no surprise that publishers would want higher e-book prices, particularly for hot new bestsellers. But their strong-arm efforts to eradicate Amazon's consumer-friendly pricing aren't a good way to grow a nascent e-book market (and e-reader) market. Let's play devil's advocate and assume there's a valid reason for hiking e-book prices. If so, publishers have done a poor job so far of stating their case. HarperCollins owner Rupert Murdoch has said that Amazon's pricing "devalues books." Really, how so? I'm sure most Kindle owners would disagree. A physical book and an e-book are different. You can sell the former, not the latter. You can't lend a Kindle title to another user, although hopefully that policy will change over time. 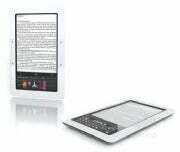 (Barnes & Noble allows users of its Nook e-reader to share titles, but only for a brief two-week period.) And since you can't line a bookshelf with e-books, there's no home-decorating value either. Furthermore, no printing or distribution costs are associated with an e-book. No brick-and-mortar storefronts or expensive retail leases, either. Consumers understand this and expect to see these cost savings reflected in the price of e-books. Amazon gets it too, but publishers apparently don't. Perhaps Murdoch is right--almost. Kindle's pricing doesn't devalue books. It devalues e-books, and for good reason. What's ironic for Apple and its Kindle customers is that Apple's entrance to the e-reader market will likely lead to higher e-book prices. This may be one of the few cases in the history of capitalism where increased competition has actually hurt the consumer. As for the publishers, they should focus on growing the e-book market and luring new customers, including those who don't buy physical books today. That's a better long-term strategy than their current scramble to pad the bottom line.